Gavin has been with FloatPac for over 15 years. Gavin started within the business ‘learning the ropes’ of fabrication with Flexitank, before moving into a sales and marketing management role in 2007. Since then, Gavin has worked tirelessly with the entire FloatPac team to now resides as FloatPac’s Chief Executive Officer, a role he took up in late 2017. Gavin, in conjunction with John and the rest of the board, over see the day to day operations of all FloatPac related business. 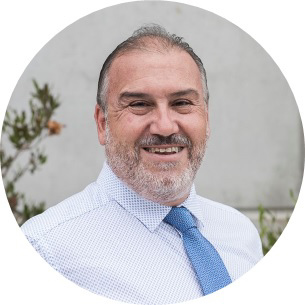 Gavin is also responsible for future proofing the FloatPac business through a variety of measures, including asset and stock management, cash flow management, and future product developments. Future product developments is especially important as FloatPac looks to continue to diversify its product offerings and grow its market representation in industry that it hasn’t previously been involved in. 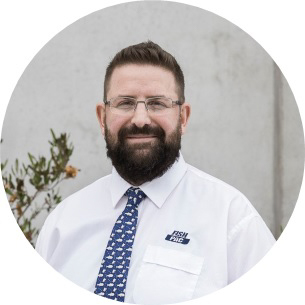 Away from FloatPac, Gavin is father to two wonderful (and cheeky) daughters, a very one eyed Geelong Cats supporter (the best team on the planet), an avid American sports viewer, and loves to spend time with family, listen to music (both inside and outside the office! ), continue to build our website and online presence, play bass guitar (badly), try and squeeze in some gaming time, and travel whenever time permits. Having worked in the seafood industry for many years (too many to enumerate), Peter now passes on that experience to FishPac clientele to ensure their commercial success. Trained as a marine scientist, Peter has worked in government and industry. He has had a long career in commercial aquaculture: abalone, oyster and flatfish. This culminated in the establishment of a vertically integrated seafood business incorporating an abalone farm, live abalone/lobster export facility and a canning factory. Joining FloatPac as Research and Business Development Manager in 2013 (mainly for FishPac), Peter has worked with existing and new clients to oversight their live seafood exports, undertake research to improve transport success, increase shipment payloads and to develop transport protocols for species not previously transported live to markets. 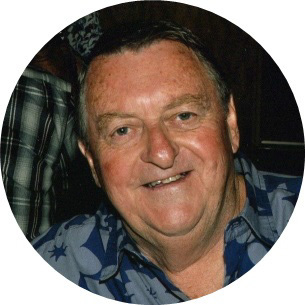 Peter has extensive knowledge of the world’s seafood industries that he enthusiastically shares with our clients. He remains very active in industry representation and currently serves on a number of government seafood advisory committees. Peter has been with FloatPac for over 5 years. Having started out working in the Flexitank factory, Peter is now FloatPac’s Sales and Assembly Manager. 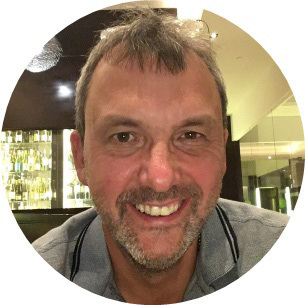 Peter has over 30 years experienced in flexible fabric manufacturing, and is a highly knowledgeable and experienced industrial sewing machinist and flexible fabric welder. Peter also handles all FishPac related assembly and QA for all FishPac regulators and StackPac bins. There is not a FishPac regulator anywhere in the world that Peter doesn’t know about, or hasn’t serviced! Away from FloatPac, Peter is an avid Collingwood supporter (there always has to be one of them! ), a team of the AFL, and also enjoys all sports – particularly golf. Gardening and fishing are also favorite past times. Travel is also high on Peter’s agenda, which is lucky considering some of the corners of the globe he has been to with FloatPac. Carol joined FloatPac in June 2010 as our accounts and administration manager. Prior to this, Carol worked as a database analyst programmer and an E-commerce manager both here in Australia and overseas. Carol has delivered some successful information system solutions for companies within serval industries including finance, retail and manufacturing, which has made Carol highly skilled in organising, multi-tasking and problem solving – a perfect fit for her role FloatPac as accounts and office manager. Though quiet & unassuming, Carol is a thinking communicator who is always inclusive & supportive of others, who is always initiative supporting her colleagues and clients. 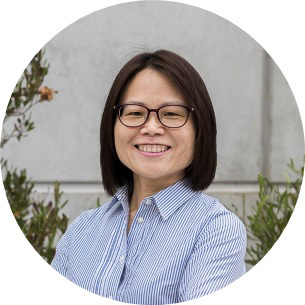 Carol is fluent in English, Mandarin and Cantonese, and her qualifications include a Graduate Diploma in Business System, a Bachelor of Business Administration and a Certificate IV in Accounting. Away from FloatPac, Carol is a mother of twins, and her interests after work are spending time with family, reading, helping scouts, travelling, and coffee with friends. Laurie worked for Qantas Airways Limited for 37 years. Whilst he had various jobs and titles, Laurie’s final position was Manager Dangerous Goods Standards and Compliance, responsible for Dangerous Goods Compliance for the Qantas Group of Companies. Laurie was an elected member of the IATA Dangerous Goods Board for 18 years and an industry adviser to the member nominated for Australia on the ICAO Dangerous Goods Panel for 14 years. This is where Laurie first met Geoff Leach from the United Kingdom. In the lead up to the ICAO Dangerous Goods Panel meeting in the 1990’s, where the FishPac system was approval by ICAO, Laurie had been working with FishPac, Ansett and the Australian Civil Aviation Safety Authority (CASA) with testing, risk assessments and operational procedures to accept and handle the bin by airlines. Following the ICAO approval, the first ever bin was uplifted on Qantas to Hong Kong in January 2000 and as a representative of Qantas Laurie accompanied the shipment (as a passenger of course). Since retiring from Qantas in 2011, Laurie now assists FloatPac, including FishPac. Prior to joining Qantas, Laurie completed an automotive engineering apprenticeship and later on specialised in car air conditioning, automotive LP Gas equipment and Ford industrial and marine engines. 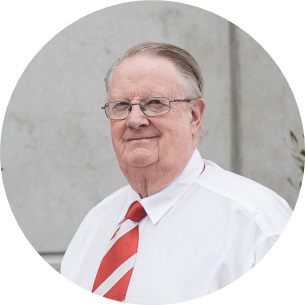 In his spare time, Laurie is a Director of his local sports club and spend loads of time with his amazing eight grandchildren. And of course Laurie tries to keep Geoff Leach under control (without much success!). Every Aussie company needs a pom! 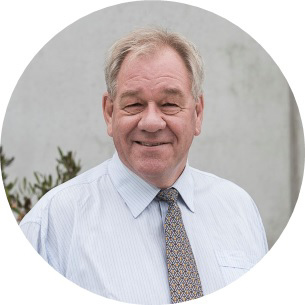 Geoff worked for the UK Civil Aviation Authority for 32 years, during which time he was Chairman of the International Civil Aviation Organization (ICAO) Dangerous Goods Panel (DGP), that develops the international requirements for the safe transport of dangerous goods. During that time, he worked with Laurie Willoughby, also now on the FloatPac team. Geoff’s first involvement with FishPac was in the late 1990’s when he was involved in the working group at the DGP which developed the standards for the approval required to permit FishPac to be carried on passenger aircraft. So now, nearly 20 years later he has come full circle and is actively involved in training clients to use the system. In his spare time Geoff watches proper football (none of this AFL nonsense) and is a long-suffering season ticket holder at Crystal Palace who play in the English Premier League. Like Gavin, he also plays Bass guitar, 4 strings being quite enough to deal with.